When many people think of marijuana, a consumer demographic of young consumers comes to mind. This is consistent with the marketing efforts of most large cannabis companies since many of them cater to a target customer base of people ages 22 to 35. While it’s true that cannabis use is alive and well among millennials, it may surprise many that cannabis use transcends many generations. Interestingly, senior citizens are the fastest growing age group to embrace marijuana use. If you visit a busy dispensary and view the line of patients and customers awaiting entry, most of the time you would be hard-pressed to identify a clear demographic. Men and women of all ages, races, and socioeconomic groups will likely be present. This in itself is remarkable. Few products transcend demographic boundaries like cannabis does. While cannabis use may or may not be a family activity, the fact that Generation Z to Baby Boomers desire access to it shows its broad appeal for various reasons. The fact that seniors are embracing cannabis use on a rapidly increasing level should come as no surprise. After all, many of them were the marijuana smokers of yesterday. During the 1960s and 70s, today’s seniors were the rebellious youth of our country. A strong counter culture and opposition to societal norms emerged during those decades like the country has not seen since. Those young adults—today’s seniors—questioned their parents’ beliefs and marched to a different drummer. Not only was a war raging in Vietnam, but yesterday’s youth were questioning authority and forming their own definition of what “normal” should be in our society, rather than accept what they’d been told as children. Those same people, not only 1960s hippies but the mainstream youth of that era as well, are the ones now standing in line at dispensaries coast to coast. This age group knows cannabis—it’s nothing new to them, although the flower strains may be more potent now. Their rebellious nature as young people mellowed with age, and they became responsible members of society and the working class. In short, their ideology shifted. What would bring them back to marijuana after a long hiatus? The legal status of cannabis must be one of the most compelling reasons. As law-abiding citizens, many seniors would no doubt shy away from cannabis for its illegal status alone. Another compelling reason is that older generations inevitably experience a host of physical health issues for which cannabis provides effective relief. Societal acceptance of marijuana is at an all-time high, and suddenly there are hundreds of thousands of people who rely on it for the relief of physical and mental conditions. Instead of marijuana having no redeeming medical value—which many of today’s seniors were told when they were young—it may rank among the most useful plants on the planet. Older generations are cannabis-savvy enough to recognize this fact and desire access to the plant. Clearly, the Baby Boomer generation survived their earlier cannabis use just fine. They already recognize it as a safe substance, so there is no trepidation involved with using it once more. Although seniors may not be as tech-savvy as younger generations who grew up with it, they definitely maintain a strong online presence. According to an April 2014 report by the Pew Research Center, nearly 60 percent of people over age 65 are active on the internet. This was a 6 percent increase from the previous year. 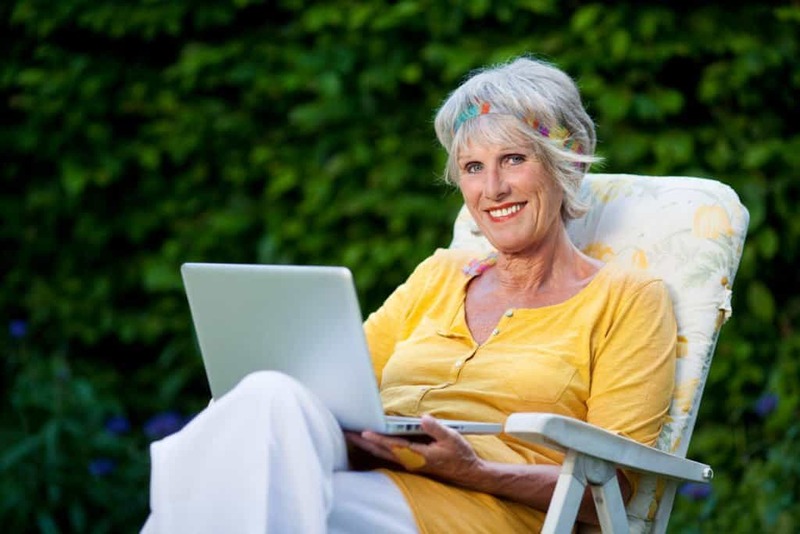 Of the seniors who go online, 71 percent said they do so daily. Coursera, an online learning platform that partners with universities to provide thousands of free online courses, says that 10 percent of its students are age 60 or older. For seniors who want to continue their education, online courses provide great opportunities to do so. A job in the cannabis industry could be a great fit for many seniors. Some of them have retired from their mainstream careers, so a part-time or even full-time job may fill a void in their lives. Many retirees have difficulty adjusting to a life that’s relatively unstructured and lacking commitment and obligations. Being productive to remain happy is a key fundamental of the human psyche. Some retirees choose to volunteer for worthwhile community causes, and others choose to return to a workforce on their own terms rather than out of necessity. A third group of seniors just needs a source of steady income that a cannabis job can provide. Many seniors in the workforce have learned valuable people skills in prior jobs, and they are no strangers to education and learning. Perhaps they have a retail or sales background—and dispensary work as a budtender is most definitely both of those things, it just has a cannabis focus. Choosing online education where they can learn inside the comfort of their own homes makes a lot of sense. Earing Masters Certification from a marijuana college like the Cannabis Training University allows seniors to learn cannabis cultivation, extraction, and retail on an advanced level. The wide variety of courses offered by THC universities allows seniors and other students what type of job might be the best fit for them. Rather than looking for a California cannabis college or another one that’s specific to a region, the Cannabis Training University draws from a deep well of knowledge from high-profile professionals who have a wide range of experience spanning the entire era of legal marijuana and before. The old saying, “You don’t grow old making foolish mistakes” rings true when it comes to what senior citizens can offer cannabis startup companies, which is essentially what the majority of cannabis companies are today. Many seniors recognize the common pitfalls of growing businesses and are wise enough to sidestep them. In an industry dominated by millennials, seniors can provide a much-needed level of maturity to provide balance. For this reason alone, cannabis companies should give them a good hard look when they apply for employment opportunities. There are seniors who have started their own cannabis companies to blaze their own trails and make a mark in this emerging industry. Many seniors are good businesspeople, and they are quick to recognize the lucrative opportunities cannabis can provide. Other seniors are seeking new and interesting employment. Learning about sativa and indica on a professional level is no doubt as appealing to some of them as it for their grandchildren. Every corner of the cannabis industry offers positions that are appropriate for seniors, so online training from a THC university makes a lot of sense for them. As well as sales and marketing opportunities in dispensaries, many would do well as in the harvesting, trimming, and curing departments of commercial cultivation companies. Jobs in the edibles departments of cannabis companies are particularly appropriate for them (after all, many people agree that grandma’s cookies are the best, right?). There are many reasons why seniors should revisit cannabis and enjoy the many benefits it provides, not only for their health but for employment opportunities as well.